Fish oil contains three essential acids — omega 3 — that have been proven to have health benefits, especially for women. Fish oil has been found to reduce the risk of developing several common health problems in women. In addition, fish oil is considered a brain food. The omega 3s increase brainpower and memory and can help prevent bone loss in women as well. Fish oil contains three essential fatty acids, EPA, DHA and DPA. The acids work together to strengthen every cell in the body. 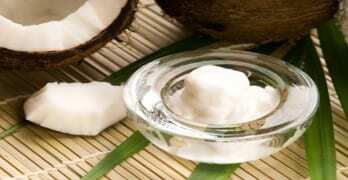 They also work to fight the "bad" fats that get consumed on a daily basis. They aid in blood clotting and are part of the basic building blocks of the brain. Most importantly, these acids have a strong anti-inflammatory effect that reduces the chances of a women getting diseases, such as arthritis and breast cancer. Studies show a broad range of fish oil benefits for women. A study published in the "Journal of the American Medical Association" showed a reduced risk of stroke in women who ate fish oil at least twice a week. Fish oil has also been shown to reduce the chances of a women getting breast cancer, diabetes, heart disease and osteoporosis. In addition, fish oil improves fertility and reduces menstrual cramps. Does it Make Your Baby Smarter? While omega-3 fatty acids do improve brain development in children, it is a myth that if a pregnant women takes fish oil, it will improve her baby’s brain development, according to the International Business Times’ website. Recent studies have proven this to be false, but there are other health benefits for a pregnant women who consumes fish oil. These include reduced pain and inflammation that are often side effects of pregnancy. The best source of fish oil comes from consuming fresh, cold-water fish at least twice a week, according to the University of Maryland Medical Center. While many woman take fish oil capsules, the body only absorbs about 50 percent of the nutrients, whereas it will absorb almost all the fish oil found in fresh fish. In addition, it is easy to overdose on fish oil capsules. Nuts and seeds, especially flaxseed, are also good sources of omega-3 fatty acids. If you do decide to take fish oil, be sure to limit yourself to no more than 3 g daily, as more can cause bleeding, according to WebMD. In addition, note that many supplements have been found to contain heavy minerals and are not regulated by the Food and Drug Administration.